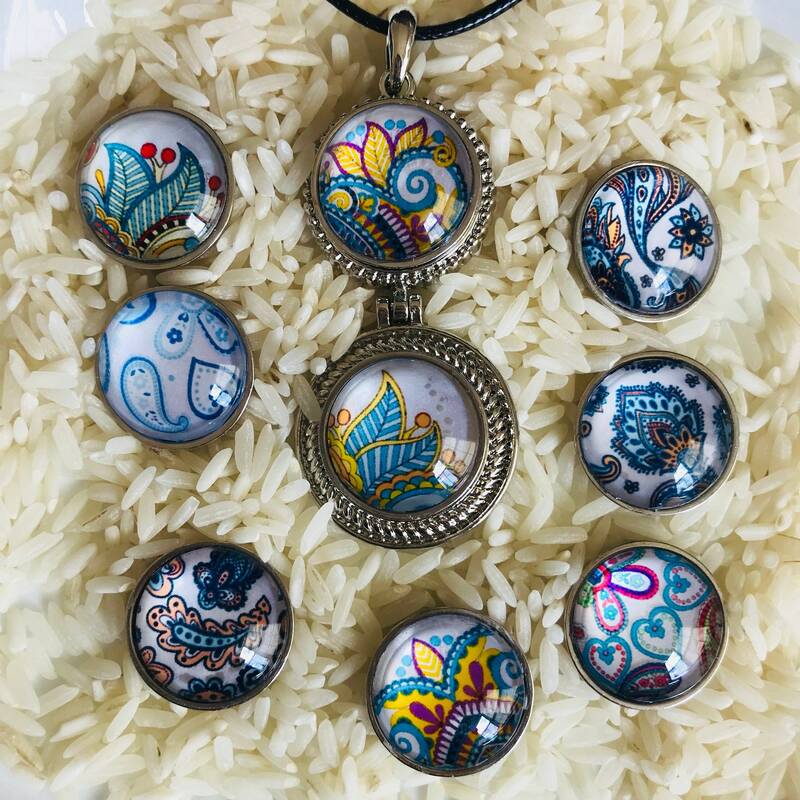 Featured are glass dome snaps handmade by Studio66 LLC. These snaps are individually created here in our Studio66 LLC home studio. --We select unique, colorful, vibrant images. --We print images on a high-quality luminescent paper. --We coat the images to keep them vibrant and clear. --We then use our unique process to adhere them to high-quality magnifying glass domes and secure them in our customize snap bases (designed and made for our shop). Truly pictures do not do these snaps justice. They are very vibrant, durable and beautifully magnified. --Each snap goes though a very long process from begining to end often taking days to cure. --These are truly unique, you won't find them anywhere else. They are create using a unique handmade process. 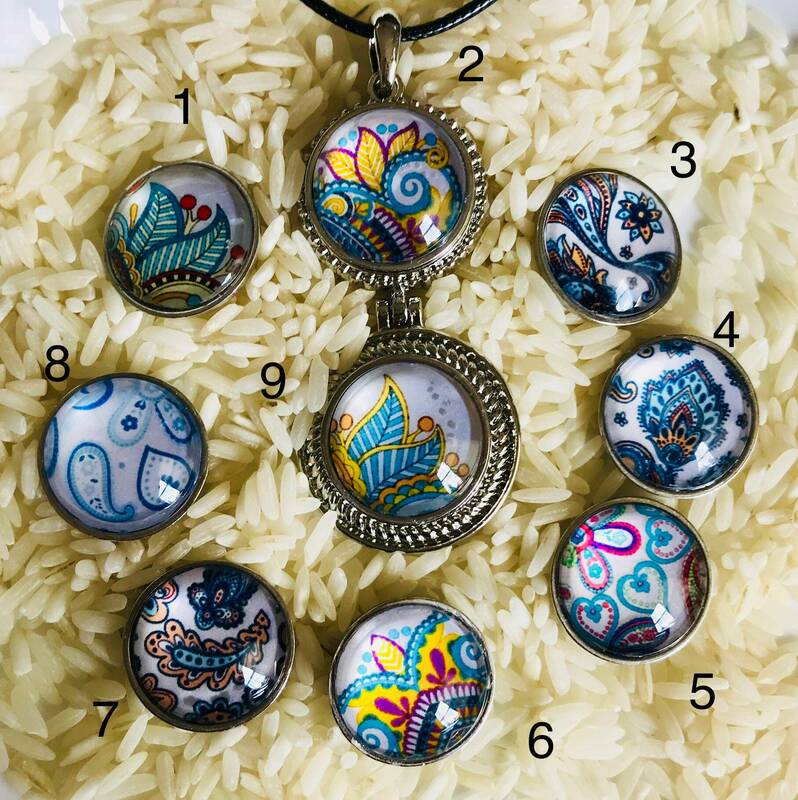 --Select a couple and make an absolutely stunning piece. 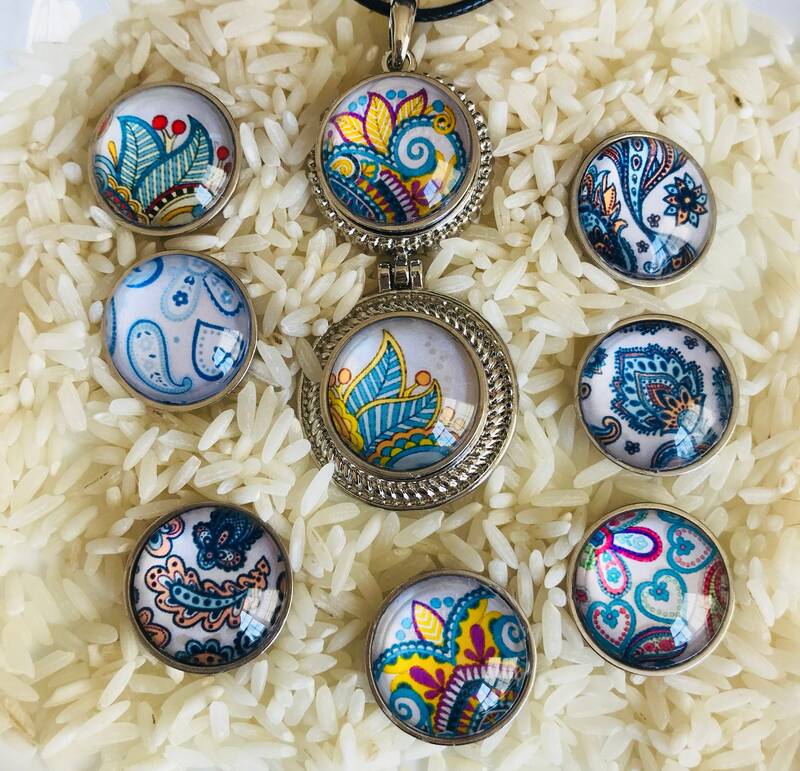 Pictured are the blue floral themed snaps with two on our double-snap pendant, available in our shop. Snaps are numbered 1 - 9 so that you may select your preference upon check-out.